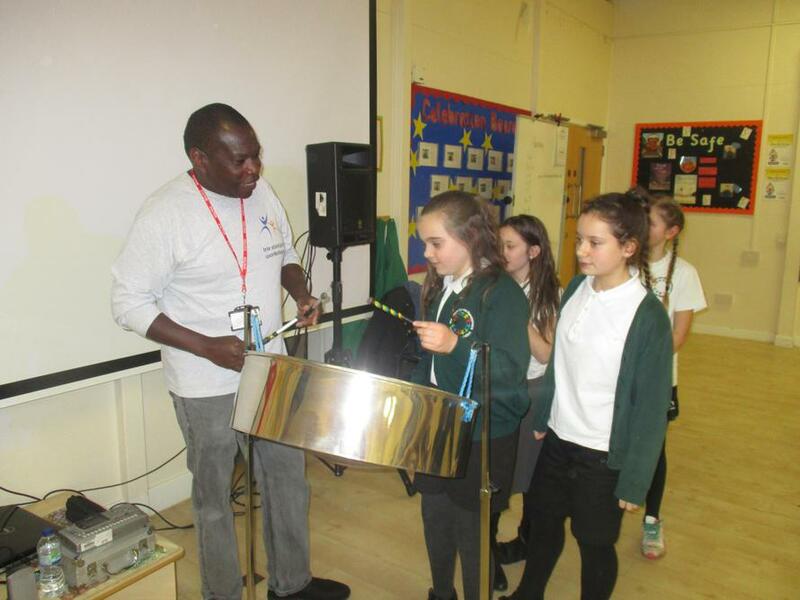 On Tuesday 9th January the Albert Pye enjoyed a performance from “Irie Steel Pan Workshop.” The London-based band performed a variety of styles of music for Key Stage 2 classes and all the pupils really enjoyed the performance and had fun dancing and singing along to songs they recognised. 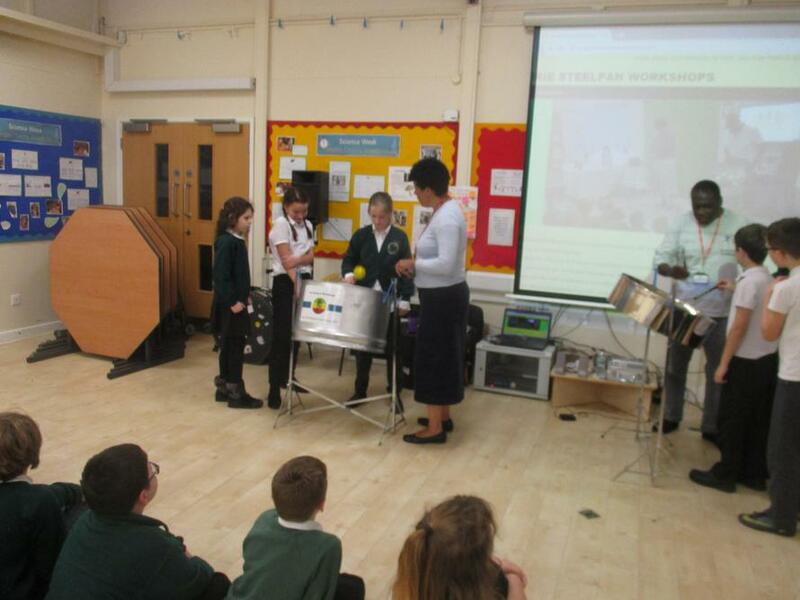 The show was followed by two workshops for each of the Year 6 classes. 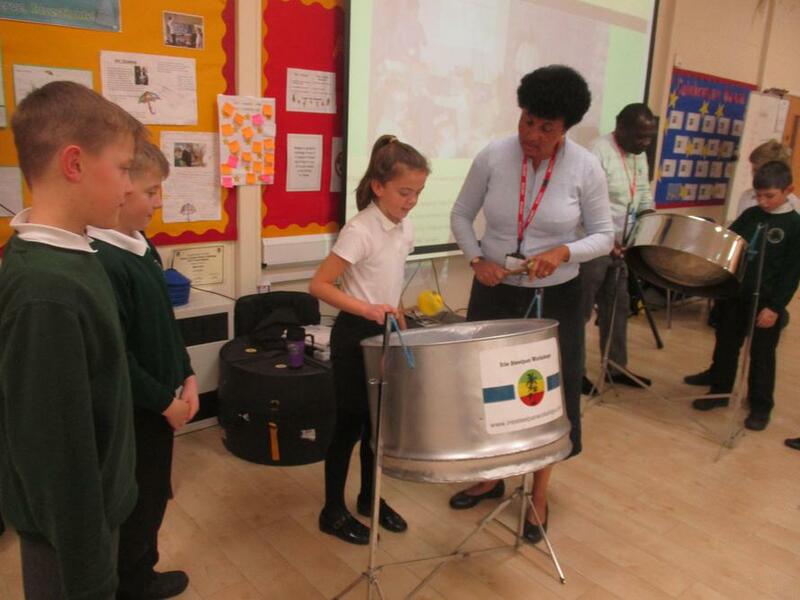 Year 6 pupils enjoyed the opportunity to learn about how the instruments were made, their origins and the culture from which they arose. They also tried out the band’s instruments and learnt some traditional dances too.